I have had this recipe for at least 10 years, and each time I make it I wonder why I don’t make it more often. The bread is fantastic; moist, somewhat dense, sweet without being overly sweet, and just plain good. It also freezes really well. The original recipe is from Cottage Living, a wonderful magazine which is no longer published. I have tweaked the recipe a bit. 2. 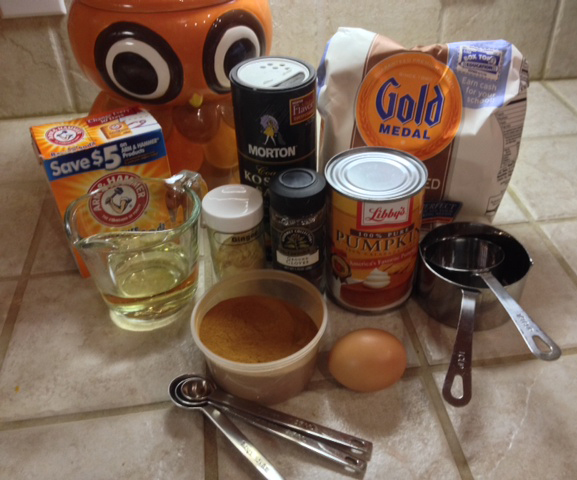 Whisk the first 6 ingredients in a small bowl. 3. 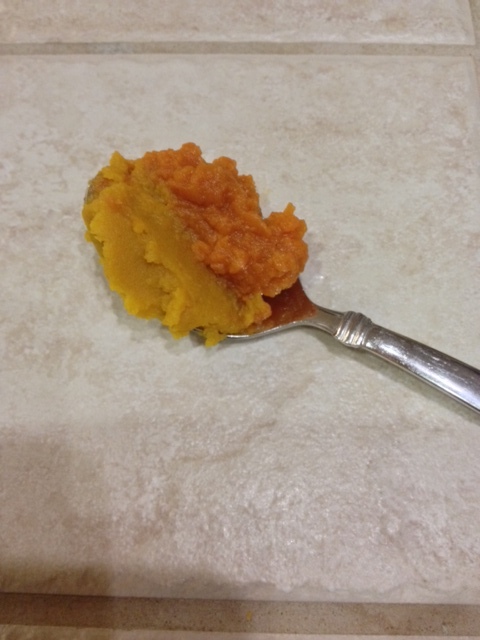 Combine oil, sugar, and pumpkin in a large bowl, beat with a mixer until smooth, mix in egg. 4. Slowly mix in dry ingredients until blended. Pour batter into loaf pan. 5. Bake at 350 for 1 hour, or until a toothpick comes out clean. Let cool on rack for 15 minutes, and remove from pan. Serve warm or at room temperature. Tip: don’t decrease the sugar, or the bread will taste salty. 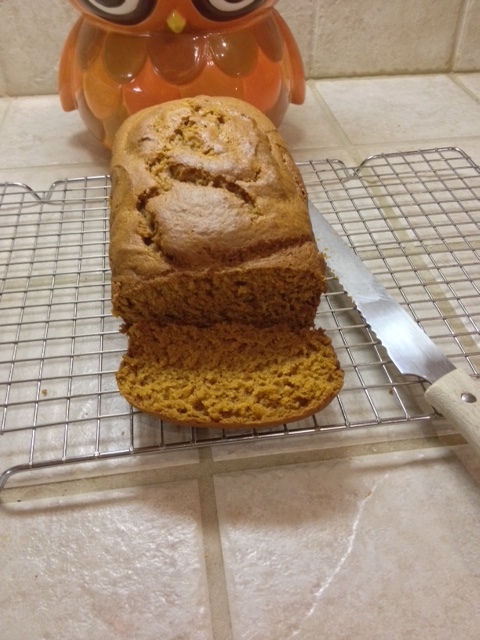 A note about organic vs. regular pumpkin: I have baked this bread using both kinds of pumpkin and I can’t tell any difference. There is a different texture between the two. Check out this photo, the yellow/orange, dense pumpkin on the left is the organic. The orange, chunky is the Libby’s. 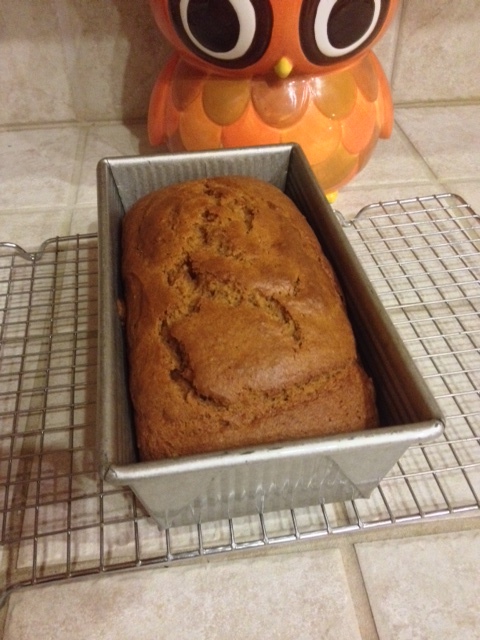 Posted in baking, Organic, pumpkin and tagged breakfast, canned pumpkin, food, pumpkin spice bread. Bookmark the permalink. 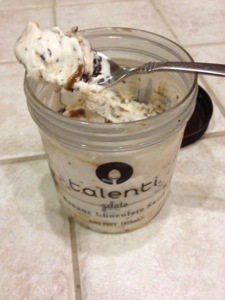 Oh wow, my daughter bought this talenti banana chocolate swirl gelato, and it is soooo good! I found it in the freezer, and was curious, and now I can’t put it back. The banana flavor is sweet and subtle, and there are dark chocolate shavings and swirls of caramel. Such an amazing combination! Go out and get some of this soon. I look forward to trying their other flavors. Posted in Dark Chocolate, Ice Cream, tea. Bookmark the permalink. 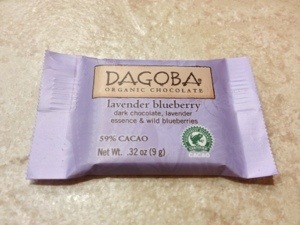 Dagoba has a winner with this combination of lavender and blueberry in dark chocolate. I was a bit skeptical, so I bought a small square, and now I’ll need to go back for a full-sized bar. 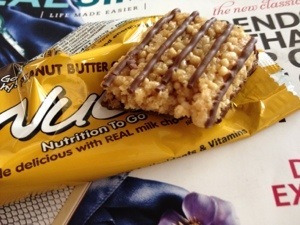 The chocolate is very satisfying without being too sweet, and it’s organic, too. Win, win, win. Posted in Dark Chocolate, Fruity, Organic. Bookmark the permalink. It says that they are available in 5 flavors, but they don’t list the flavors on the site. 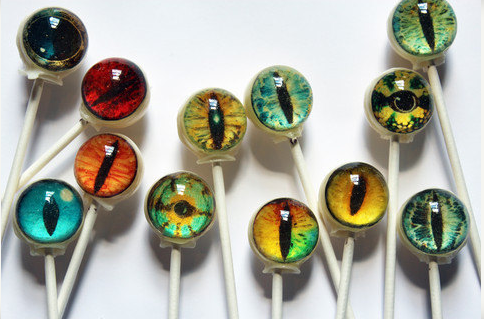 You don’t think the flavors are calico, tabby…just kidding. I’m sure they taste as amazing as they look. Posted in candy crafts, Halloween, internet treats and tagged confections. Bookmark the permalink. I can’t remember where I picked these up, but it’s been a while and they’ve been sitting on my shelf just waiting for me to sample them. I am so glad that I finally opened the retro package. 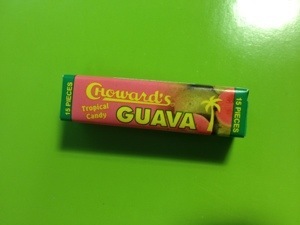 They have a nice, subtle guava flavor. They have the texture if a smartie, and they aren’t too sweet. I will definitely buy those again. It was the best of times…no, actually it wasn’t that great since I was flying over the weekend. 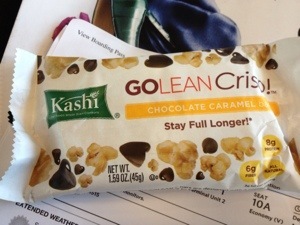 I got hungry and didn’t want fast food, so I bought a Kashi bar. The pictures of the ingredients on the wrapper looked good and it had a decent amount of protein, so I paid the $2 and gave it a try. It was pretty dry and hard. I had to drink my coconut water to make it better. It was better than going without food, but not by much…. 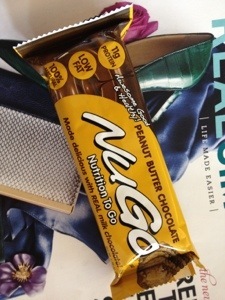 On the return trip I bought this NuGo peanut butter and chocolate bar. It had 11 grams of protein and 170 calories. 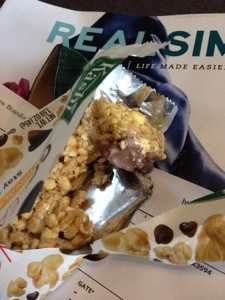 It was much better than the Kashi, and more like a Rice Krispy treat. I will buy this again, in fact, I’ll search for these when i get home. Posted in Milk chocolate, travels. Bookmark the permalink.